(By: Leiden University/LION) We are happy to announce the 3rd annual LION Image Award Competition! The past two editions of the LION Image Award have provided many amazing pictures of state-of-the-art Leiden physics research. Both years an image from the top 3 made it to 'Beeld van de Week' in the Volkskrant. We expect many more beautiful contributions this year! 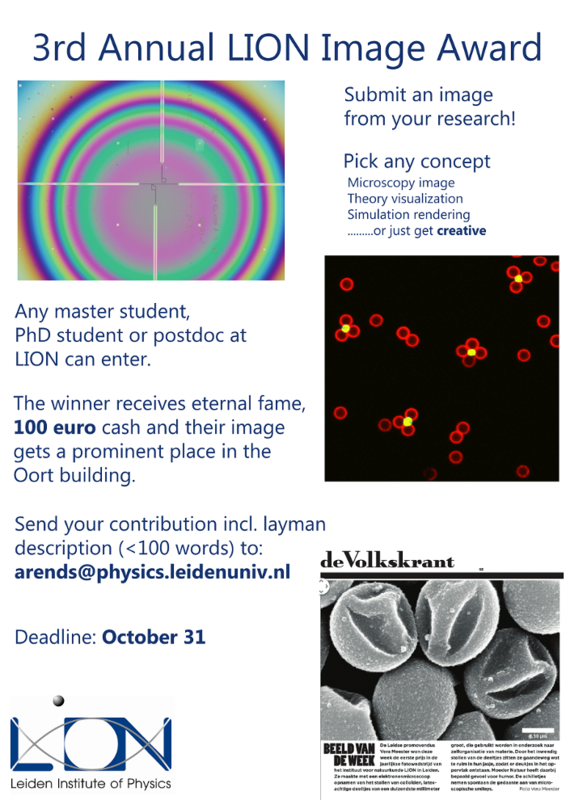 Submit an image from your research. Pick any concept: microscopy image, theory visualization, simulation rendering.....or just get creative!